I have to confess, I’m not a numbers person. When I hear the word statistics, I just want to get up and run. However, as a marketer, I knew it was essential to understand data, as it can give greater insight into your target audiences and many other things. The fears that I initially had about data analysis were soon overcome, thanks to Google Analytics. This fantastic platform allows users to compile and analyse data and generate comprehensive reports. These reports can provide an indicator on how well your business is doing, highlighting what’s working with your content marketing and what can be improved. 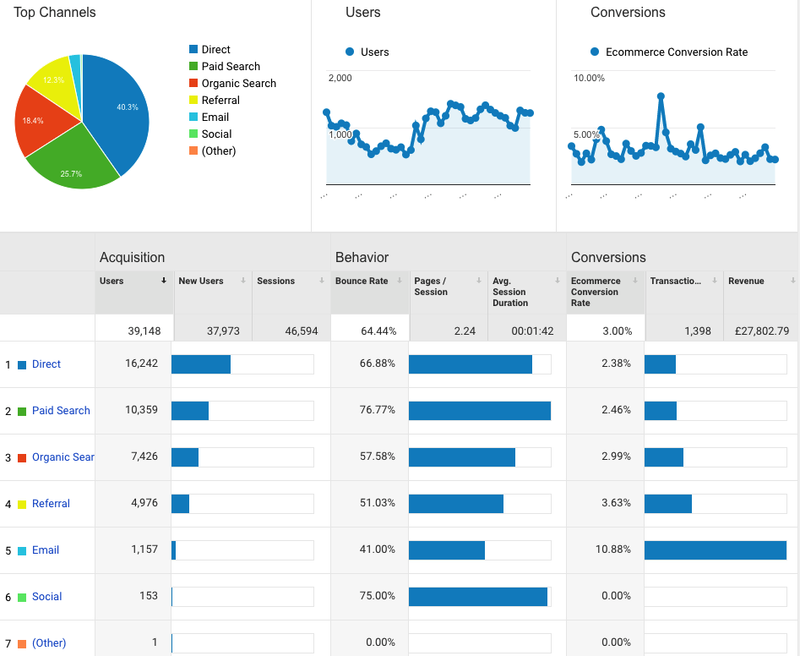 Is Google Analytics for me? · How many people visit my website? · Where do my visitors live? · What marketing tactics drive the most traffic to my website? · Which pages on my website are the most popular? · How many visitors have I converted into leads or customers? Then all of these questions can be answered using Google Analytics. Below, is a very brief overview to help you keep track of your B2B digital marketing performance. Google Analytics lets you find out who is actually visiting your site through Demographics tracking. It provides a breakdown of visitors by location, gender, age and interests. This is a great tool for ensuring you’re reaching the right target audience. From this data, you should create content that relates to your audience. The Acquisition tracking is a great tool, as it allows you to see which channels are leading visitors to your site (e.g. direct visits, email, social or organic search) and their behaviour once on your site (e.g. how long they spent on your site, how many pages they viewed and bounce rate). This data should help inform your content plans, as if something is driving more traffic then create similar content. How many visitors are converting on my website? To gain this valuable information, set up Goal Tracking, which needs to meet all your campaign and commercial objectives. Through Goals Completions you can track the goals that are most important to your business. Your site doesn't have to be e-commerce for tangible goals to be set up, for example, contact form submissions, PDF downloads and phone number clicks can all be set up as goals and from this, you gain insight into any ad conversion rates and ROI from paid social or PPC. Set up Site Search’s to see what visitors are typing into your search boxes. This data gives insight into what your customers are after, in their own words, so that you can modify your approach to better meet their needs. For example, you may need to tweak your search function if numerous people are leaving the site following their search rather than clicking on any of the results presented. If a search is particularly popular, you might want to think about adding more content to it. To learn more about how to use Google Analytics, sign up to their free training academy and you can work towards your own certification. It’s a great, easy-to-use tool for interpreting data and should be used to guide your marketing strategy going forward. To make sense of the data and to build your B2B strategy from the insights you gain, get in contact today.